Mike Carter BA Hons is a Cardiff based figurative painter specialising in landscapes. Mike studied Fine Art in Cardiff and was taught by Terry Setch RA and Michael Crowther. He is influenced by painters as diverse as the Abstract Expressionist painter Franz Kline, John Piper and contemporary landscape painters such as Kurt Jackson. 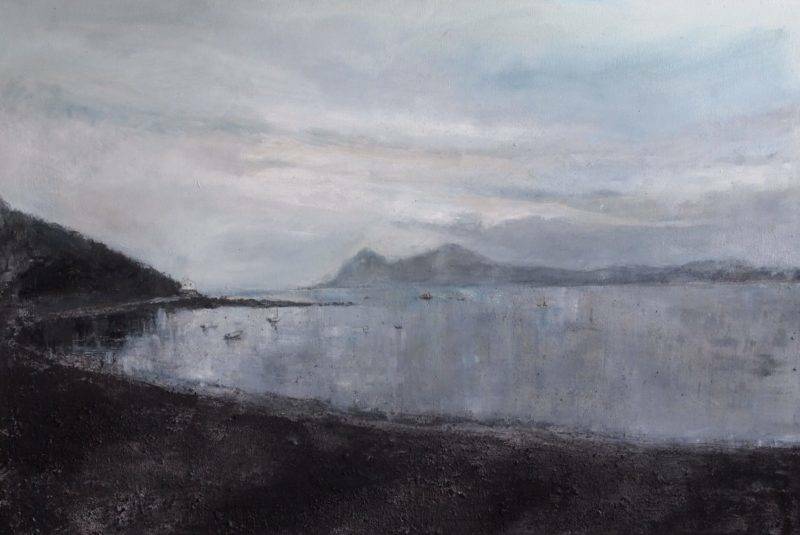 As a landscape painter I'm looking to convey a mood, the atmospheric effects of light, the changes in weather and the seasonal cycles.I use sketches and photography as a method to record but the photographs and drawings are only a starting point. I combine different materials such as charcoal, chalk, sand, sawdust, PVA, black ink, acrylic and oil paint to create a range of effects and marks, in an intuitive way.I don't want purely to make representational images. April 2012 Kooywood Gallery, Cardiff.Group exhibition. October 2012 Made in Roath, Cardiff.Group exhibition. December 2014 Cardiff MADE.Winter exhibition. October 2015 Made in Roath. Group exhibition. December 2015 Albany Gallery, Cardiff. 50th Anniversary exhibition. December 2015 Cardiff MADE.Winter exhibition. March 2016 Albany Gallery, Cardiff.Little picture show.Group exhibition. May 2016 Cardiff MADE. "Floribunda"Spring Exhibition. July-Sept 2016 Oreil-y-Felin, St Davids, Pembrokeshire.Summer exhibition. October 2016 Made in Roath,Cardiff.Group exhibition. November 2016 Off the Wall Gallery, Cardiff.Group exhibition. December 2016 Off the Wall Gallery, Cardiff.Christmas exhibition. December 2016 Cardiff MADE.Winter exhibition. May-June 2017 Cardiff MADE."Bloom". Spring exhibition. June-August 2017 Royal Academy Summer Exhibition. 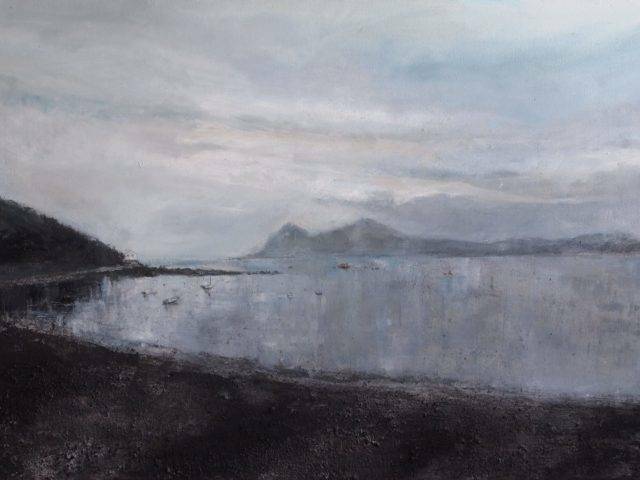 October-December 2017 Plas Glyn-y-Weddw, Winter Exhibition. Feb-March 2018 Albany Gallery, Cardiff 4 person exhibtion. June-Sept 2018 The Old School Gallery, Alnmouth, Northumberland , Summer Exhibition.